“It’s my view that one of the biggest challenges the world faces in the coming decades is feeding its rapidly growing population. Growing markets, particularly in Asia, and the expansion of the global middle class, means that agricultural producers will struggle to keep up with demand. The above comment was made by the Minister for Primary Industries, Nathan Guy, back in 2013. And there is no doubt that successful agribusiness relies on the ability to understand the operation of competitive global markets, international marketing and the management of complex and extended supply chains. 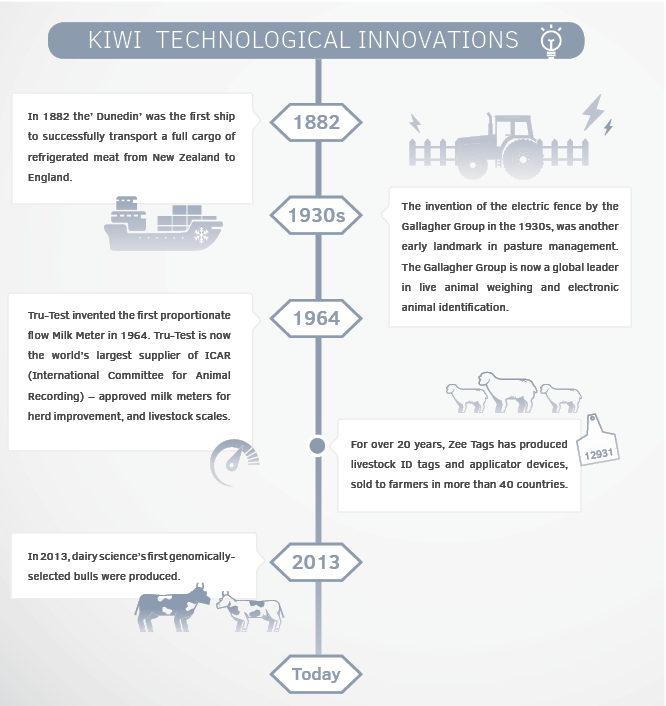 Here are just a few of the New Zealand agribusiness innovations that have helped to shape our current industry. Please note: this is by no means a comprehensive list of Kiwi agri inventions and innovations – we don’t have space for that! Innovation is firmly on the agenda of both government and industry, with a number of opportunities for agribusiness development. The government invests around $30 million annually into research and development focused on improving agricultural productivity and profitability.